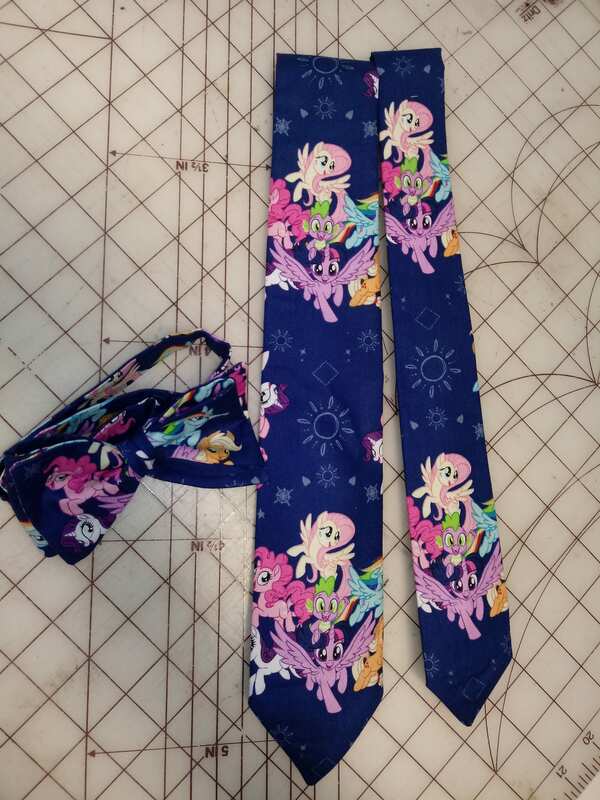 My Little Pony in bow tie, skinny tie, or standard tie styles. Great for any fan. Adult bow tie is self-tie, sized to 16.5".